The characters portrayed in my work are whimsical and the materials I use in my process have an inherent quality of mystery. 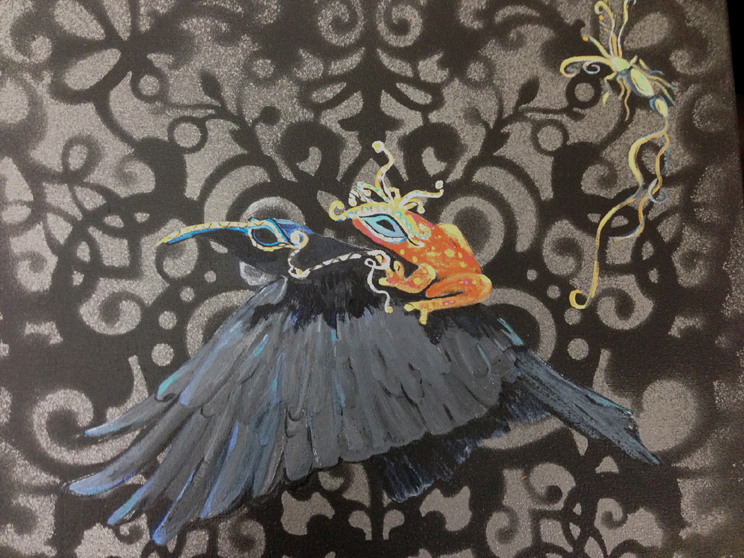 The finished size of my art varies from mural-like to quite small. 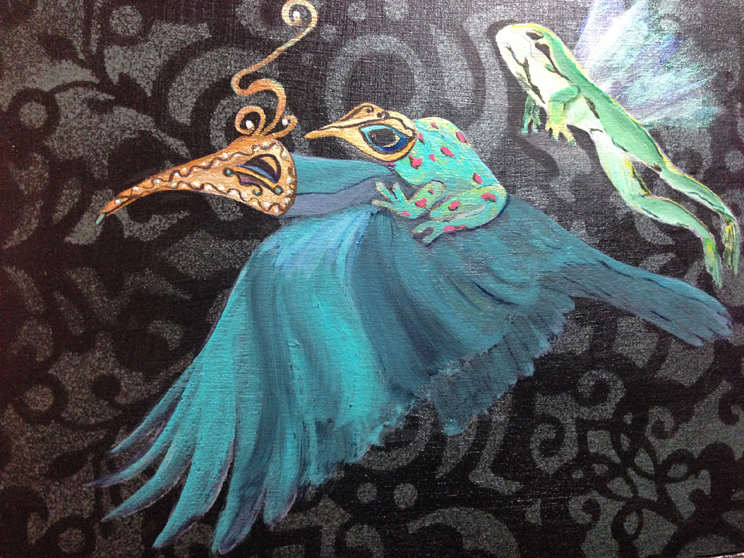 Classic fairy tales and fables are my inspiration and I use frogs and other creatures to tell stories. My earliest childhood memories are the illustrations of Alice in Wonderland by John Tenniel. As I began to suspect the intricate political and social satire of famous fairy tales my intrigue and inspiration follows this tradition. Cheryl Bookout has a passion for collaborative public art projects. 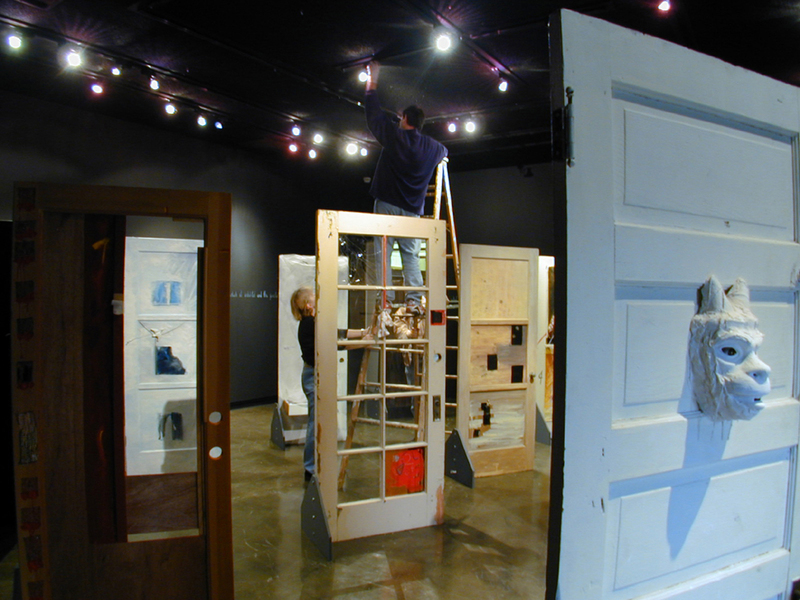 She has helped to facilitate and curate numerous exhibitions including Multiple Vantage Points: Southern California Women Artists, 1980-2006, Los Angeles Municipal Art Gallery, 2006; Curatorial Advisor and Envisioning the Future, facilitated by Judy Chicago and Donald Woodman with 80 artists, multiple venues in Pomona and Claremont, 2002. As an individual artist, Bookout is included in the California Women Artist Project archived at the University of Southern California and Special Collections and University Archives, Rutgers University Libraries, a project organized by Gloria Orenstein, Professor of Women in Literature and Art at USC. Bookout is the ED & Co-Founder of The Chimaera Project, a nonprofit focusing on action and advocacy for female filmmakers. She is the past President of the Southern California Women’s Caucus for Art 2012 – 2016, member of the Desert Screenwriters Guild and has been a guest on numerous panels throughout the U.S. Bookout has co-produced three short films: I Am Be, Gloria’s Call and Sanctuary.